In another world, where animals reign supreme, the time of peace has come to an end. The Factions are once again at war. Some fight for supremacy, some to defend their way of life and traditions, and others because it was what they were bred to do. Each game of Tooth & Nail: Factions represents a single battle in this war. 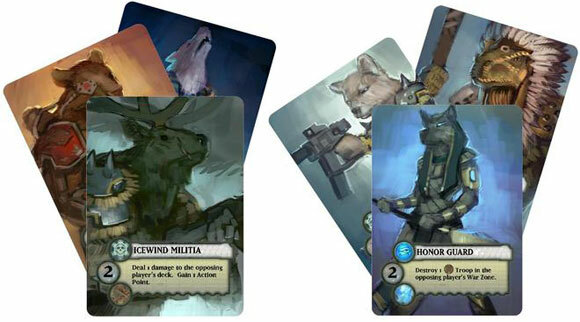 There are six different Factions, each with its own unique deck of Troops and play style. In the standard two-player game, each player controls a single Faction, while in the Alliance game, both players draft two Factions and combine them to form new decks. Finally, up to four players can play the game using the Enemy of My Enemy rules. Add a Review for "Tooth & Nail: Factions"